THE colourful and intricate brush strokes of an internationally renowned artist has graced the Lockyer Valley Art Gallery. The exhibition titled Davson - Creation showcases the spiritual works of talented artist and former Gatton resident Sharon Davson. 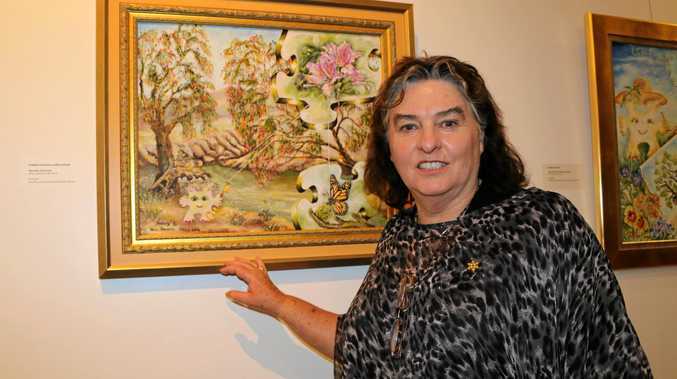 The exhibit was formally opened by Lockyer Valley Regional Council mayor Tanya Milligan on December 16 and premieres more than a dozen new works including Creation. It's a unique exhibit and one that holds deeper meaning for Sharon who has included 10 works from her late mother and local identity Win Davson MBE FTCL. The mother-daughter exhibit is a fitting tribute and one Sharon believes has never been done before. "Mum and I had often talked about doing an exhibition together but it never happened,” Sharon said. One of the centre pieces to Sharon's exhibit is Naturally Harmonious which combines the talents of herself and her late mother Win. "Mum painted it in the 1960s and then I over painted it last year and that was a really nice bringing together and it was 50 years in the making,” Sharon said. "That is the first of what will hopefully be a series of six paintings all created with mum from a 50 year time span, the 1960s to now and, as far as I know, it's never been done before. For almost two decades Sharon said she had explored many religions and had been painting the light of God. Her latest work Creation features her interpretation of the creation story. "Last year I decided I wanted to start painting actual universal teachings of what it is to be somebody of faith and to actually step forward in that arena,” she said. She said the Creation artwork would eventually be mass produced as a print and gifted locally, nationally and internationally to all religions who wanted it. 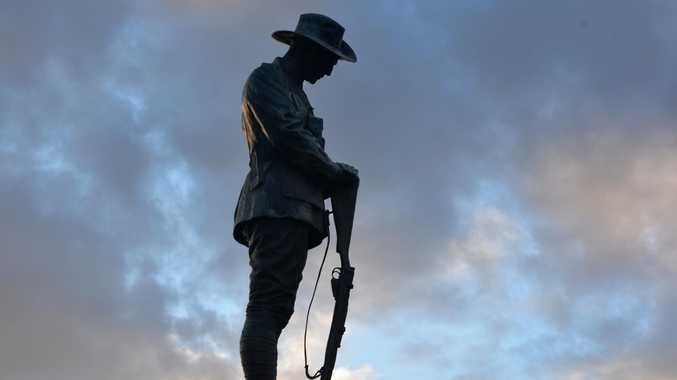 The Davson - Creation exhibition will run at the Lockyer Valley Art Gallery until January 22. "It's a style of collection that you only normally see in major regional galleries,” Sharon said. Art by Sharon Davson is infused with a great love for the environment and the interconnections of all on Earth and beyond. Her works are loved and treasured inclusions in royal, celebrity, museum, corporate, investment and private collections, including in her home town of Gatton.